Come Lauf with us and get some Carolinian BBQ! 50% of proceeds will go to the non-profit/school of your choice! Also, ODR will be raffling away great prizes including (not limited to) a Garmin Watch and the chance to get free registrations to all our races in 2019! 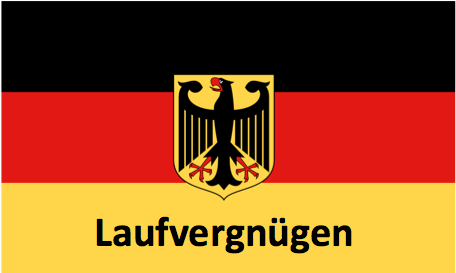 Laufvergnügen is German for Fun Run! In celebration of October, Old Dominion Racing and Carolina Brothers Pit BBQ have joined forces to give you a great Octoberfest experience. This race will start at Carolina Brothers Pit BBQ and will go down and back the W&OD trail, where a free meal from Carolina Brothers will be waiting for you. One meal will be provided for each registrant. All routes depicted are the general path that the race will take. Due to technical restrictions from the mapping service, the distances reflected may not be calculated correctly by the mapping service. ODR will, however, measure and provide an enjoyable and accurate route. Race-Day Registrations will be allowed. T-Shirts and 10Miler Medals will be provided! Friday, October 12th (from 12pm - 7pm) at the Road Runner Sports Sterling Store.